The inspiration for the major motion picture Ashes in the Snow! From New York Times and international bestseller and Carnegie Medal winner Ruta Sepetys, author of Salt to the Sea, comes a story of loss and of fear -- and ultimately, of survival. A moving and haunting novel perfect for readers of The Book Thief. Ruta Sepetys (www.rutasepetys.com) is an internationally acclaimed author of historical fiction published in over sixty countries and forty languages. Sepetys is considered a "crossover" novelist as her books are read by both teens and adults worldwide. 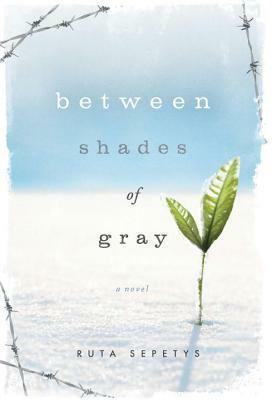 Her novels Between Shades of Gray, Out of the Easy, and Salt to the Sea are all New York Times bestsellers, international bestsellers, and Carnegie Medal nominees. Her books have won or been shortlisted for over forty book prizes, are included on over thirty state reading lists, and are currently in development for film. Born and raised in Michigan, Ruta now lives with her family in Nashville, Tennessee. Follow her on Twitter @RutaSepetys.